As MBA degrees become more accessible, students are increasingly coming from more and more diverse backgrounds—and this is for certain at Cornell University’s Samuel Curtis Johnson Graduate School of Management. In Johnson’s Two-Year MBA class of 2020, just 29% of the 280 students come from a traditional business undergraduate background—compare this to Harvard University’s MBA class of 2020, in which 46% of students have experience in business or economics. For Natalie Grillon (pictured), the scale of diversity present at Cornell Johnson was just one reason behind her decision to pursue the school's Two-Year MBA. 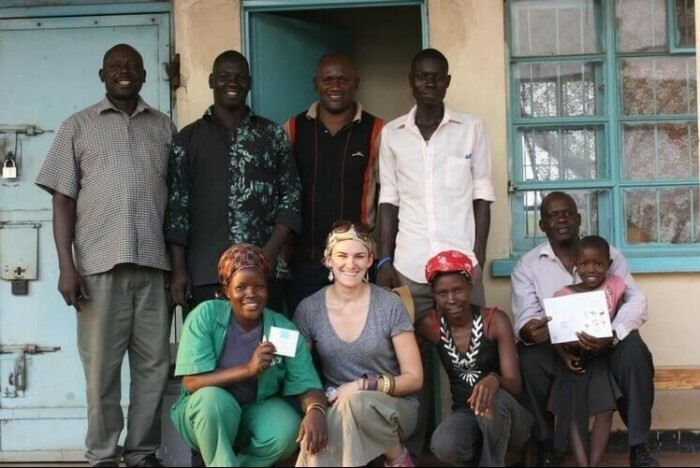 After completing her undergraduate degree in Foreign Service and International Politics at Georgetown University, Natalie spent almost three years with the Peace Corps working as a natural resources management specialist in Mali, Africa. It was during her time in the Peace Corps that Natalie realized an MBA could help her make a bigger difference. Specifically, Johnson’s Sustainable Global Enterprise Immersion appealed to her “business for good” philosophy, and, as Natalie explains, in 2010 Johnson was one of the few business schools in the US that had such a specialization in sustainability. And they weren’t just focused on social entrepreneurship or clean energy—it was sustainability across the board. “They really had programming and expertise that cut across sustainable agriculture, cleantech, [and] sustainability in supply chains and operations," she says. Sustainable Global Enterprise is just one of eight immersions that Two-Year MBAs at Johnson can choose from. Students get unprecedented learning in their industry of choice—including digital technology, investment banking, or a customized immersion for students interested in very particular areas. So does Cornell. Each immersion offers students the chance to get practically involved in their industry during the first year of the program through specialized electives, class visits, and live case studies. Through the immersion in Sustainable Global Enterprise, Natalie worked with chemical producer BASF on a sustainable strategy for them to move into Africa. “Others worked with GE on different projects in operations or innovation,” she adds. It’s this diversity of backgrounds and experiences that Risa Mish, professor of practice of management and organizations, believes makes the Johnson MBA so unique. “We understand that if everyone is thinking alike, someone isn't thinking,” Risa says. “We bring together people with a diverse set of backgrounds and perspectives, and then allow everyone to experience the magic that occurs when we deliberately seek out the different insights that arise." Since graduating from the program in 2012, Natalie has worked as an independent sustainability consultant, an operations manager for a nonprofit venture capital firm, and, most recently, has launched a nonprofit project that aims to make the apparel industry more sustainable. With such a varied career since her MBA, how does Natalie look back now on her experience at Johnson? “Something that will never change about Johnson’s MBA versus others is the intimate nature of the program, and the type of people that Cornell attracts. It really is a community that looks out for each other,” Natalie says. The program promotes a strong tradition of helping and connecting with each other, she adds. That sticks out across the entire MBA, regardless of what direction you choose to take your studies. For Natalie, the combination of business skills and sustainable insight makes the Two-Year MBA at Johnson perennially impactful. “I continue to use my marketing skills, my strategy skills, my critical thinking skills, all those things, but with a lens of sustainability and positive impact,” she says.